NEW YORK Notre Dame linebacker Manti Te'o was looking forward to a break. It's been a long week for most decorated football player in the country. Texas A&M quarterback Johnny Manziel seemed to have more energy when he arrived at a midtown Manhattan hotel with his fellow Heisman Trophy finalist. The two players spent about 30 minutes getting grilled by dozens of reporters before being whisked away to more interviews. 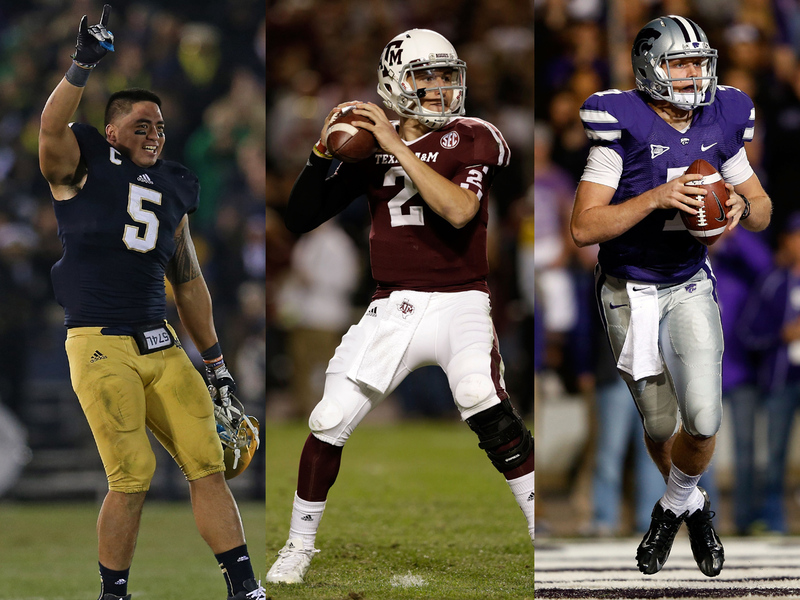 Manziel, Te'o or Collin Klein, the other finalist  who could not make it to town Friday  each has a chance to be a Heisman first Saturday night. Manziel is trying to be the first freshman to win the award. Te'o would be the first winner to play only defense. Klein would be Kansas State's first Heisman winner.